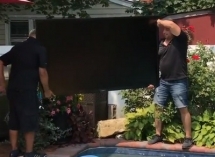 The installers at Architechnology Designs tiptoe precariously around a pool, dodging plants and other dangerous obstacles to install a 75-inch SunBriteTV from SnapAV. SunBriteTV expanded its lead over Séura, followed by MirageVision and Peerless AV with single digits. Check out the complete list in our 2017 Brand Analysis. 7 reasons you never want to use an indoor TV for an outdoor space, even if it's a covered patio or screen porch. Dealers who made this year's CE Pro 100 list are firm in their go-to outdoor video providers. SunBriteTV and Séura lead by a landslide in the 2016 Brand Analysis. Who Should SnapAV Acquire Next? Now that SnapAV, the manufacturer and distributor for home technology installers, has acquired SunBriteTV, all bets are off. They could acquire anyone! Who’s next? The 97th PGA Championship is underway. For Throwback Thursday, look back at when HSS Custom AV installed a Crestron control system to control the 13,500-square-foot Florida home of professional golfer Ian Poulter. 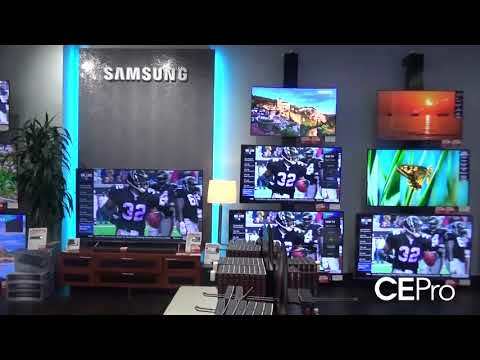 SunBriteTV, Seura lead the way in the most used outdoor video brands in the 2015 CE Pro 100 Brand Analysis. The Calif.-based video manufacturer SunBriteTV now offers a series of cost-effective outdoor HDTVs to allow homeowners to enjoy their video entertainment while participating in outdoor activities. When it comes to outdoor entertainment, homeowners are focusing on more than just audio. Video has become a key part of their outdoor experiences.